← How Dare You Kate Brown! Thank you for this — as always — insightful analysis. 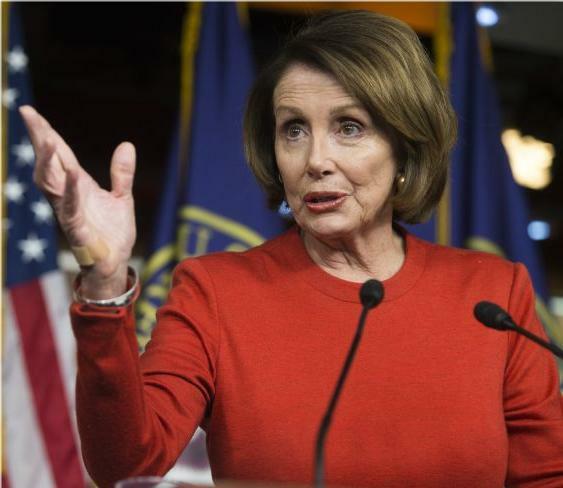 Nancy Pelosi should be congratulated for her stellar leadership and encouraged to share those skills with the up-and-coming members of her caucus. Any other stance is hard to square with anything other than misogyny. Thank you, Bevan. Let us hope your voice is heard!! Peace, Michael. You and many like you seem to be deaf towards the voice of the democratic socialists, of which Pelosi is not… She is part of the old guard, and unless you want the status quo, she is not my pick for speaker. And whom would you like? It is interesting, as I feel you have cherry picked your reading of the article. I really like Al Franken, but I think it is time for a woman of color. Nel, thank you for reading and commenting. Schrader really is a disappointment. Nancy Pelosi will go down as one of the greatest speakers, ever. She is a threat to weaker types and to the old boy network. But she is phenomenal and has brilliant focus and ability to negotiate well. The ACA is as much hers as Obama’s. She may not be at the extreme socialist end, but that is not necessary for being Speaker. She is ideal to manage the Senate and 45 while keeping the Democrats on track. Thank you for your great commentary on the status of things. You highlight things I was not aware of but solidify your points. We need more articulate men like you to present such a good presentation of the reality of the Congress and the misogyny that reeks in the hallowed halls and apparently in the hearts of too many Americans. Thank you, L R Davis. You honor me with your words here. Yes, I do believe Pelosi will go down as one of the greatest speakers of all time. It hurts my heart to see how she is treated because of her identity as a woman, but that is where we are in the United States. Peace to you, Michael.